Missed a recent sermon? Curious about the messages presented at Bradford Community Church Unitarian Universalist? Find recordings of recent sermons by our minister, the Reverend Erik David Carlson, and select guest speakers here! Sunday, April 21st, 2019 - "Easter"
Rev. Erik David Carlson explores the truth of the historical Jesus compared to the Christ many people celebrate at Easter. Sunday, April 14th, 2019 - "Personal Wholeness"
Rev. Erik David Carlson speaks about the importance of centering the margins and embracing a diversity of identities when attempting to achieve personal and collective wholeness. Sunday, April 7th, 2019 - "Cosmic Wholeness"
Rev. Erik David Carlson explores the connections we all have to the birth of the Universe, each other, and the great spirit of Love. Student minister Denise Cawley talks about the simple ways we might incorporate spiritual practice into our lives, little by little. Sunday, March 17th, 2019 - "Equinox Journey"
​Rev. Erik David Carlson welcomes spring in a homily about the rebirth symbolism in the springtime. Sunday, March 10th, 2019 - "Democratic Journey"
Rev. Erik David Carlson examines the parallel-but-oft-conflicting paths of democracy and capitalism throughout American history from a Unitarian Universalist perspective. Sunday, March 3rd, 2019 - "Journey"
Rev. Erik David Carlson explores the theme of journey in our lives as it pertains to growth, awareness, immigration and the spiritual practice of hospitality. Student minister Denise Cawley gives our stewardship sermon on the connections and commitments we have to each other and the world. Sunday, February 3rd, 2019 - "Spirituality of Sport"
In honor of Super Bowl Sunday, Rev. Erik David Carlson explores the spiritual, cultural and communal nature of competitive athletics in America as illustrated in part with the story of the 2004 Boston Red Sox. Sermon on how to better engage in Unitarian Universalism based in part on the recent work of Kimberly Sweeney on "The Death of Sunday School". Sunday, January 6th, 2019 - "The Possibility of Both-And"
Rev. Erik David Carlson discusses the cultural problem of the false binary and how we have in Universalism a means to address the complexity of our lives. Sunday, December 16th, 2018 - "Enjoy the Mystery"
Unitarian Universalist seminarian and intern minister at the UU Church West in Brookfield, Wisconsin, Kimberlee Tomczak Carlson shares the importance of embracing and even enjoying the mysteries that surround us and our lives. Resident storyteller Dani Lockwood presents our annual "Stardust Story" for all ages. Sunday, December 9th, 2018 - "Living with Mystery"
Rev. Erik David Carlson explores our human ability to change our minds through the lens of science and religion, constructive dialogue and Christian Mysticism as exemplified by Saint Hildegard von Bingen. Sunday, November 25th, 2018 - "The Power of i"
Rev. Erik David Carlson explores the spiritual and theological implications of complex and imaginary numbers and fractal expressions in the natural world. Sunday, November 18th, 2018 - "Thought and Memory"
Rev. Erik David Carlson examines the connection between thought and memory, the biological and mythological implications of both, and how we might honor our past while moving towards an ever-brighter future. Sunday, November 11th, 2018 - "Remember When the Music"
Rev. Erik David Carlson explores the unique intersection between memory and history and our connection to the living generations and our understanding of the future, using the Harry Chapin song "Remember When the Music" as framework for the sermon. Sunday, November 4th - "Our Sacred History"
Student minister Denise Cawley, Bradford UU founding-member Kay Wikel, UU historian and storyteller Mary Norris and Rev. Erik David Carlson offer reflections on the 150th anniversary of Unitarian worship space in Kenosha. Sunday, October 28th - Time for All Ages story by Dani Lockwood: "The Man From Bland"
Resident author and storyteller Dani Lockwood narrates our annual Halloween all-ages play. Sunday, October 21st - "Creating Radical Sanctuary"
​Sermon by student minister Denise Cawley on our congregation's connection to the Prophetic Sisterhood and how we might be more welcoming and radically inclusive in our church today. Sunday, October 14th - "Safety of Sanctuary"
Did you know the most racially segregated time of the week in America is Sunday morning? What does it say about us as a culture that we are least diverse within our faith communities, and how might we engage across faith divisions in order to do good work in the word? Opening reading by Steve Garnaas-Holmes shared by student minister Denise Cawley, sermon by Rev. Erik David Carlson. Sunday, October 7th - "Historical Hindsight"
In recognition of Columbus Day and Indigenous People's Day, we will be examining the implications of imperialism and the process by which we judge past actions by current moral standards. Sermon by Rev. Erik David Carlson with opening reading by Rev. Qiyamah A. Rahman shared by Denise Cawley. Sunday, September 30th - "Vision"
In light of the Dr. Ford and Judge Kavanaugh testimonies this week, we explore the origins of sight and how our own understanding of reality depends upon incorporating different perspectives of the truth. Sunday, September 16th - "Letting Go: The Wisdom of Tashlikh"
In recognition of the Jewish New Year, we examine the parallels between Buddhist and Hebrew wisdom around atonement, forgiveness and spiritual cleansing and their implications for us as Unitarian Universalists. Sunday, September 2nd - "Fruits of our Labor"
In honor of Labor Day we explore our deep connection to workers' rights and the labor movement in Kenosha and throughout the rest of Wisconsin history. Opening reading provided by Patti Fitchett. Sunday, August 5th - "Spiritual Self-Care"
We examine the importance of holding ourselves in loving care in order to more effectively care for others and the world. Meditation sections edited for time. Sunday, July 22nd - "Blessing of the Flowers"
We explore the origins of two of our most sacred and uniquely Unitarian Universalist traditions, the flaming chalice and the flower communion. Opening reading by Rev. Norbert Capek shared by Dani Lockwood, story of the Flower Communion adapted from UU author Janeen K. Grohsmeyer. Sunday, July 15th - "Pride of Love"
We celebrate Bradford UU's long history of supporting LGBTQ+ rights with our annual Kenosha Pride service and then join in our community's Pride Parade through the streets of Kenosha! ​Sunday, July 8th - "Ask the Minister"
In our annual summer service, you get to ask Rev. Erik about anything! Questions not answered in service will appear in future additions of the Quilt. Sunday, July 1st - "Tolerance versus Fundamentalism"
In honor of the 4th of July, we consider the many facets of American history and their impact on where we are as a nation today. Service topic provided by auction winner Ann Day. Opening reading provided by Patti Fitchett. Sunday, June 17th - "Other People's Fathers"
In honor of Father's Day, Patti Fitchett provides a message about the intimate knowledge she has gleaned from acting as funeral director for many people's fathers, despite not growing up with a father herself. Sunday, June 10th – "Black Lives of UU"
In this special service dedicated to our fellow UUs of color throughout our Association, our Black Lives Matter Task Force members gayle clark-taylor and David Lockwood speak to their experience with racial justice work and motivations for continuing to work for a more equitable world for all. Sermon from Rev. Erik David Carlson follows the testimonials. Sunday, May 27th - "Lest we Forget"
We welcome the unofficial beginning of the summer season with a service focused on honoring our UU military and their families. Sunday, May 20th - "Prophetic Imagination"
We engage with our monthly theme of "Creativity" to learn about how some of our most conservative spiritual ancestors paved the way for religious freedom and autonomy in our culture. In honor of Mothers' Day, we welcome back to our pulpit Bradford UU member, candidate for the UU ministry and intern minister for Unitarian Universalist Church West, Kimberlee Tomczak Carlson. 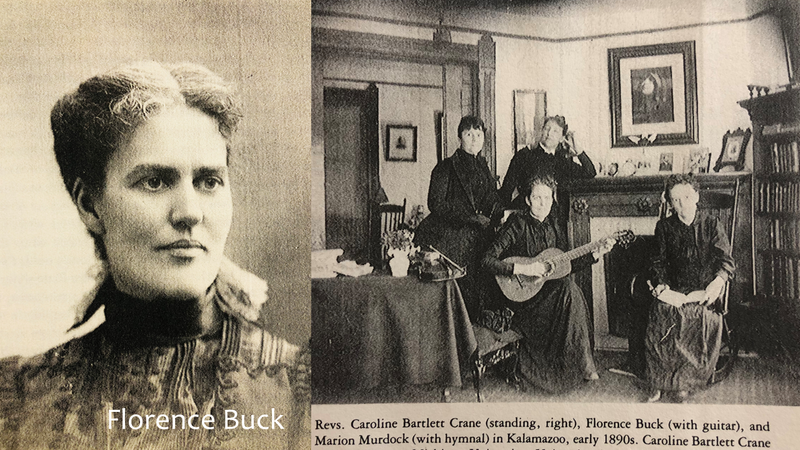 Many of the first women ordained as ministers in the United States were Unitarian or Universalist serving congregations right here in the Midwest. At the beginning of the 20th century a sisterhood emerged that would change the shape of our faith and put our beliefs and values into action in new ways. Today, let’s balance our history by hearing the stories of these remarkable women and the communities they served. Sunday, May 6th - "Comfort the Afflicted (and Afflict the Comfortable)"
Exploration of the famous quote by Mr. Dooley, the fictional, satirical voice of 19th Century journalist Finley Peter Dunn and the way our own world affects and is effected by the freedom of the press. Sunday, April 29th - "Emergence of Transcendentalism"
Sermon on the birth of the Transcendentalist movement and how it influences today's spiritual naturalists, with a focus on one of the little-known founders of the movement, Mary Moody Emerson. 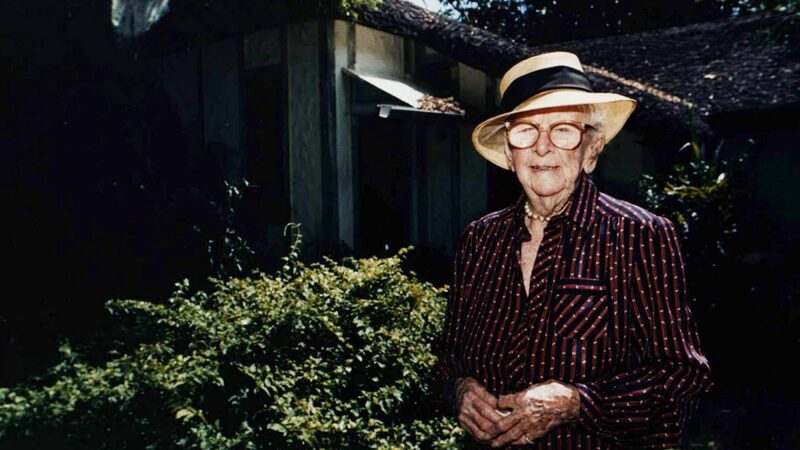 Earth Day, April 22nd - "Legacy of Advocacy"
In honor of Earth Day and the recent March for Our Lives advocates from of Marjory Stoneman Douglas High School, we examine the legacy of advocacy left us by the school's namesake, the incomparable Marjory Stoneman Douglas. Sunday, April 15th - "Render unto Caesar"
An in-depth assessment of taxation in both Roman-occupied 1st Century Judea and the United States today. Easter Sunday, April 1st - "Lessons of Easter"
Sunday, March 25th - "Wisdom of Passover"
Sermon on the wisdom we might glean from learning about the Exodus story and the Passover celebration of our Hebrew siblings. Includes opening "Prayer for Passover" by Rev. Vanessa Southern shared by Dani Lockwood. Sunday, March 18th - "Lessons of Equinox"
Message about the promise of Spring despite the setbacks of transition. Sunday, Feb. 18th - "Be the Change"
Service dedicated to physical (and financial) stewardship of our Bradford UU community. 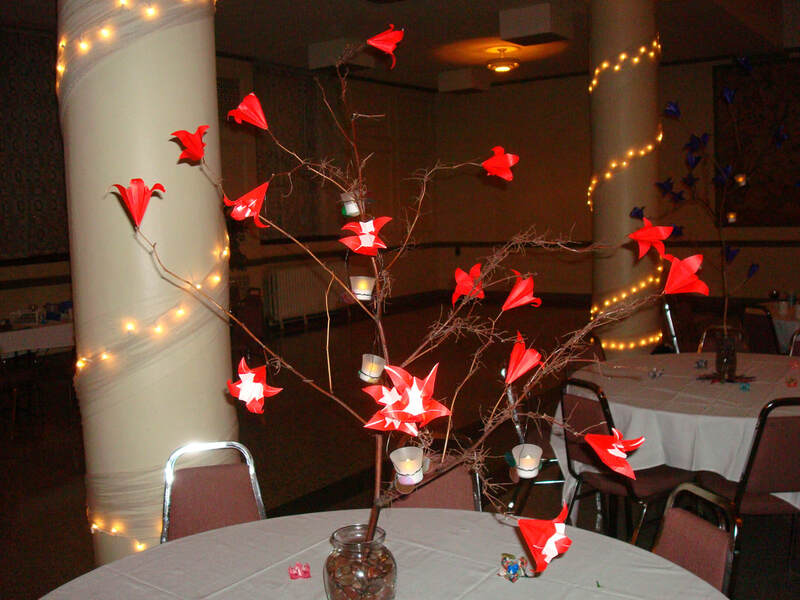 Sunday, Feb. 11th - "Side With Love"
We celebrate Valentine's day by recognizing all of those who have sacrificed for a better, more just world and the UUA's "Side with Love" campaign. Sunday, Feb. 4th - "Spirituality of Sport: Scapegoats"
In honor of the Super Bowl and our sports-obsessed culture, we will examine competitiveness and our desire to find a person to blame when our team doesn't succeed. For Martin Luther King, Jr. Day and the beginning of Kenosha's Kindness Week, we welcomed guest pastor TJ Williams-Hauger to provide the message. Pastor Williams has had an extensive career in interfaith justice and LGBTQ+ advocacy, served on the US State Department’s working group on Religion and Foreign Policy, and is a recent graduate of Union Theological Seminary in New York. For our first service in 2018 we examine the brave choices of some of our spiritual ancestors and seek ways we might too make decisions based on the path of Love. Sunday, December 17th - "You Better Watch Out: A Modern Exploration of Santa Claus"
Sermon by Rev. Erik David Carlson. Sunday, November 19th - "Abundance of Stuff"
In recognition of the holiday shopping season as marked by "Black Friday" for retailers and "Small Business Saturday" for local merchants, we will examine our personal and cultural connection to consumerism and materialism. Reading presented by Patti Fitchett, sermon by Rev. Erik David Carlson. Sunday, November 12th - "Abundance of Relationship"
We look at the ways we form and sustain relationships and how we might better maximize the positive effects of interaction in a social-media driven culture. Sermon by Rev. Erik David Carlson. Sunday, November 5th - "Abundance of Time"
We examine the many different ways we perceive and experience time and its implications for our everyday lives. Sermon by Rev. Erik David Carlson.